M&C Saatchi says it is seeing "no Brexit drag yet" on its UK operation and expects the company to grow 4% this year – so long as there’s a "managed deal" to avoid the country crashing out of the European Union. That’s according to David Kershaw, the long-serving chief executive, who reported a 4% rise in net revenues to £255.3m and a 16% leap in pre-tax profit of £32.2m at its annual results. "We’re not seeing any non-commitment from clients" because of Brexit uncertainty, Kershaw added. Part of the reason why UK advertisers are still spending is because there’s an immediate short-term return. "Particularly on digital and performance, it’s [driving] today sales," he said, noting that M&C Saatchi Performance, formerly known as M&C Saatchi Mobile, has been doing well. UK revenues were up 2% last year as a recovery at the UK ad agency, which moved into profit after what he called "three grim, profit-less years", was partly offset by CRM shop Lida, which suffered after losing Boots and Ikea. Kershaw said the UK should do better this year as Lida has new leadership and won Experian at the end of last year. He admitted that if Britain exits the EU with no deal, "I’m sure there’d be an impact" and M&C Saatchi would be lucky to increase UK revenues at all in 2019. Kershaw warned that longer-term client work involving brand-building, market-mapping and new product development is at risk of being delayed. "If there is a managed transition, I think you’ll see a good bounce the other way," Kershaw predicted. "There’s clearly pent-up demand and there’ll be a real boost to confidence. The extremes between no deal and a managed deal could be enormous." M&C Saatchi has worked with the Conservatives on the 2010, 2015 and 2017 general elections and Kershaw would hope to do so again, although the agency has not worked with the party recently. The company's 4% like-for-like revenue growth last year compares with little or no growth at big ad groups such as WPP and Publicis Groupe. The four founders of M&C Saatchi – Kershaw, Jeremy Sinclair, Bill Muirhead and Maurice Saatchi – still own about 18% of the independent agency group, which they launched in 1995 after quitting Saatchi & Saatchi. Their shareholdings have fallen over the years as they have issued new shares to entrepreneurs and managers to give them a stake in local agencies and incentivise them. "We are not dependent on pressured global consumer goods clients nor media buying, particularly following our Walker Media divestment," Kershaw said, referring to the sale of its remaining 24.9% stake in media agency Blue 449, formerly known as Walker Media, for £25m in February 2019. "Vitally, even more now, we have creativity at our core and are therefore less susceptible to automation." 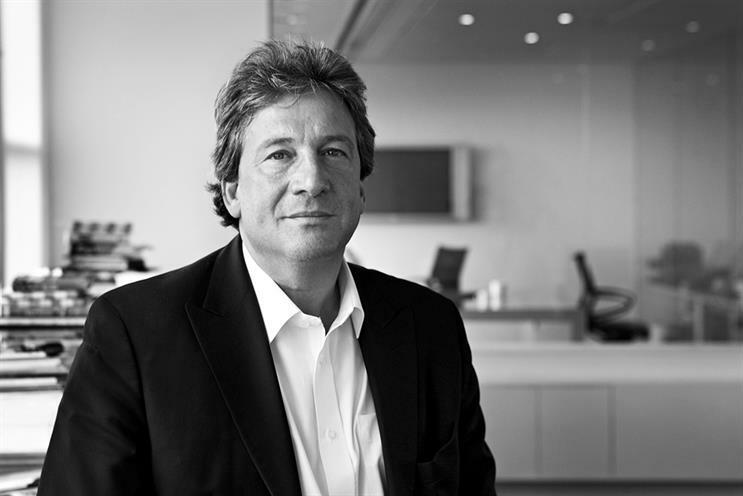 Kershaw said automation can bring many benefits, but M&C Saatchi was going to avoid "agency activities which can be automated", such as clients in-housing digital media buying "which the likes of Accenture are selling hard". He went on: "Creativity is the last thing that the consultants and machines will be able to do. I think of consultants as being automated objects too." Kershaw said he was watching Sir Martin Sorrell’s new business, S4 Capital, with interest but doesn’t see it as a threat. "He’s found a niche and creating content landfill is a good business," Kershaw said.